I’m not talking about wanting another cup of coffee or a new pair of shoes, I’m talking about wanting something bigger and better in your life. When was the last time you said “I want a bigger house”, or “I want a more fulfilling job”, or “I want a better relationship”? When was the last time you put your own happiness ahead of the daily grind? If you can’t remember the last time you allowed yourself to want more in your life, maybe it's because you convince yourself that you can’t have it before you even get started. Maybe you don't believe in your own ability to create it. Maybe you've given up on your dream. When we don’t allow ourselves to want something more in our life, whether it’s a higher paying job, a more connected relationship with our spouse, or even extra money in the bank, we miss out on what’s possible for us and for the people we love. When we forget or don’t allow ourselves to dream, we stop the flow of possibility that the good things we want for ourselves could actually happen. It’s natural for us to want things, our sense of desire is one of the gifts we are given the moment we are born. Our innate sense of want not only helps us survive, but guides us to find the true path for our lives. If you haven’t already committed to pursuing the life you were born to live, I invite you to reconsider. Many people have told me they just don’t know what they want. We hear messages from our friends, family and society about what they think we should want, but we often don’t take the time to really consider our own desires. We think we should listen to other people in order to show our love and respect for them. When we were young, our parents and authority figures helped us learn what we wanted by giving us direction, but now we can let our own desires and preferences about life take over. Give yourself permission to honor what you like to do and where you like to be and don’t let yourself be talked out of it. When we follow our own inner urges, we jump out of bed every morning with energy and excitement, ready to do whatever is necessary. When we work hard to build a life of our dreams, our day is full of meaning. As we take action and work hard, we can tune in to how we feel; figure out when we are headed in the right direction and when we are headed in the wrong direction. This is how long lasting happiness is created. By listening to the inner whisperings of our soul and following its guidance. As far as we know, this might be the only life we get…in this consciousness anyway. So if you are allowing your life to tick away with a want or a dream in your head but are afraid to pursue it, I say now is the time! Get your dream out of your head and into your life! Because living your dream is A LOT MORE FUN than just imagining it. And it’s sooo much better than settling for a life with little or no adventure! If you aren’t already pursuing your dreams I want to help you create a vision for your life and a plan to get it. If you ARE pursuing your dream(s), I want to make it easier for you. To get started finding more clarity about what you want let's consider a few powerful questions. I invite you to set aside some time to reflect on your inner hopes and dreams. (By the way, everyone has them, it’s just some of us are out of practice at paying attention to them). The answers that show up for you could open your awareness to new opportunities to have your vision that may be right in front of you. 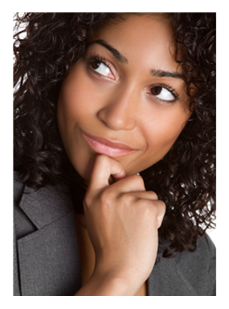 Answer the following questions to help clarify who you are and who you wish to become. Your answers may reveal the very fulfilment that you seek. Do this by yourself and for yourself. Take time to work through any resistance that might come up for you. Give yourself permission to study the inner you, to learn more about yourself. What would your life look like if you were to let go of all of the mental restrictions that hold you stuck in a mediocre life? How would your life be different if you believed you could achieve anything you wanted? In what areas of your life are you tolerating less than what you deserve and desire? What challenges are repeatedly blocking you from reaching your highest potential? What is one step that you could take to move you closer to what you truly want in your life? Aristotle once said, The soul never thinks without a mental picture. We are hard wired to visualize; it’s why we were given an imagination. Are you going to fill your imagination with fears about what might happen to you or with pictures of what you want your life to look like? Are you going to let your mind be filled with doubt, or empower yourself with affirming visions of possibility? Your imagination will do its thing regardless, but it's more effective to direct it to picture what you want. Every successful person will tell you that their success began with a vision; picturing what they wanted in their imagination. Then they set a few goals, took some massive action, believed in themselves, and voile, their dream became a reality! Do you want more of the same or something new and better? Looking inside is necessary to establish that mental picture Aristotle spoke about. Visioning is a simple process of making a mental picture in your mind of what you want. Most of us haven't been trained on how to use our imagination to create the life we want. But that doesn’t mean it's too late...there is always time to retrain so you can reclaim the life you are meant to live. There are important considerations to keep in mind when creating and manifesting your vision. Let’s review some key visioning concepts that will make the process easier. Power of Choice - Many people believe they don’t have the power to choose what’s happening to them. It can feel like our daily demands are running our lives, so it’s easy to think that we are just victims of our circumstance. But the truth is we are not victims, and we are not powerless. Some things we can’t control, but other things we can. No matter how limiting our lives may feel right now, we have the power to choose differently and positively shift the direction of our lives. 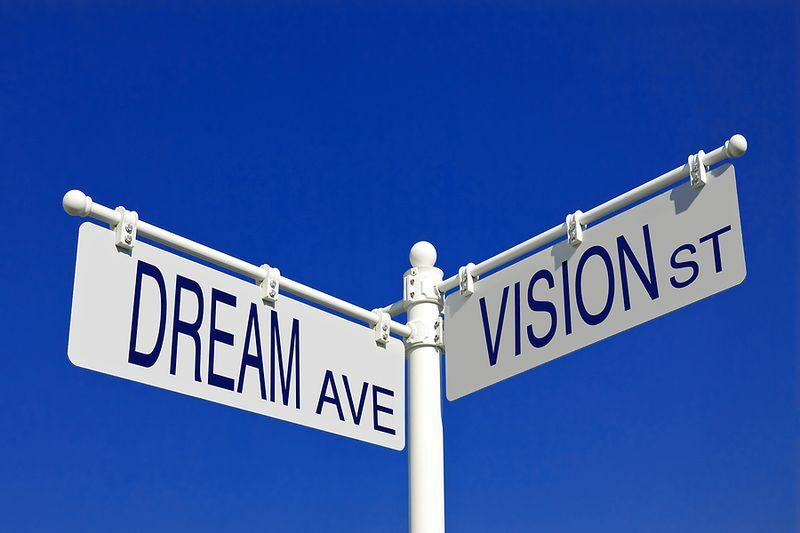 Guidance - Having a vision is like having an inner GPS; our own personal guidance system. It provides us a direction that gives our life meaning and purpose. Having a vision takes away the feeling that life is hard and difficult. Potential - A powerful vision that really connects with our deepest passions, will inspire us to reach our highest potential. A vision can remind us of what matters most when life gets challenging. In this way we can reach our potential rather than having life’s needs and pressures derail us from becoming all that we want to be. Foundational - Having a vision is like laying the foundation for a very tall building. Without a foundation, we wouldn’t be able to build a structure that reaches the sky. Everything, not just buildings, needs to rest on solid footings, and that includes us and our life. If we have no vision for what we want to do, be or have, we won’t be able to build upon anything substantial. 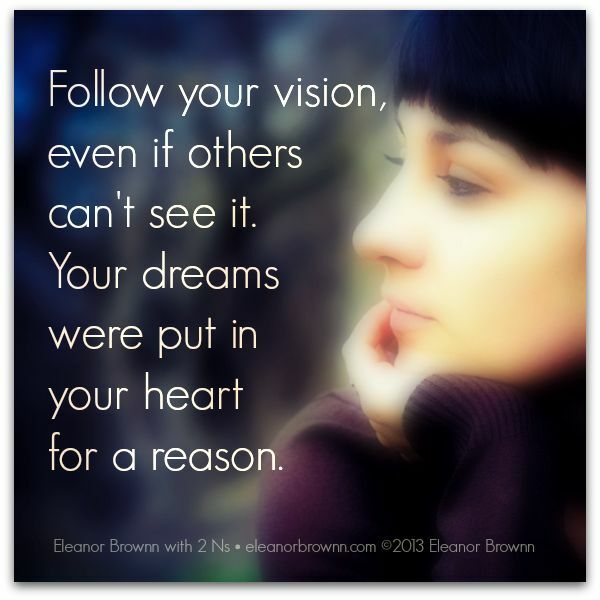 Energizing - Having a vision will inspire us. In addition to giving us a sense of direction, it will generate the energy we need to keep going. Without energy, we won’t be able to persevere. We do meet with adversity in life and that adversity zaps us of our energy. But when we have a vision, our energy is replenished and our drive is renewed. Navigational - Having a vision is like having a compass that keeps us on track and headed in the right direction. Life is full of distractions, and it’s easy to lose our way if we aren't guided by our vision. A strong vision allows us to check-in and make sure we are on track. What will it be like to get what I want? What must I do to get what I want? Having a vision alone is not enough. Without a well-prepared and specific plan, it is likely that nothing will change. A clear vision will easily transfer to specific and measurable goals and the action steps necessary to make it real. You have within you unlimited potential to make any dream that you have for yourself come true. The future is truly in your hands. What seems like only a tiny seedling today can become a mighty tree in the future. But your future depends on what you do now in the present. Create your vision with no hesitation and move forward into your glorious, meaningful and abundant life.